The Duero river at Ribera del Duero, also known as the river of wine, is about 2 hours from Madrid and it is the home of tempranillo, the most famous Spanish grape variety. Red wines with full body and lots of fruit. 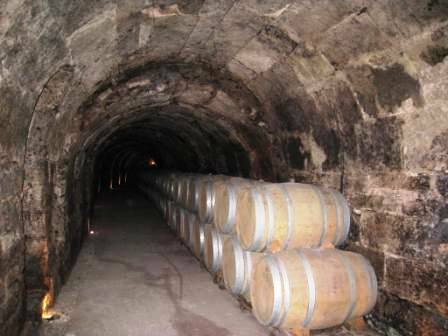 We will visit three of their most representative wineries and cellars, modern and traditional, and their vineyards. We will do a full visit in one of them, learning about winemaking in Ribera (riverside in spanish), and understanding tempranillo wine from the grape to the bottle. A real immersion in the culture of wine. 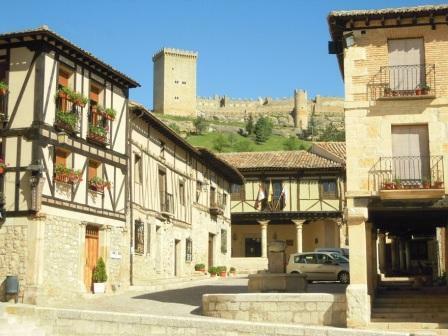 We also include a short visit to Segovia, having a scenic stop with free time. Duration: 11 hours aprox from 9:15 h to 20:00 h.
Visit to 3 different wineries. Lunch is not included in tour price (some wineries provide snacks). 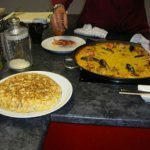 There will be free time to have lunch at your own choice in a traditional restaurant with several options of Castilian regional food ranging from tapas, a light lunch or a full 3 course lunch. We do not pick up our customers because Madrid traffic at 9.00 am will delay the departure in aprox 1 hour just driving around Madrid. Minimum number of participants for tour to take place is 3. There is a possibility of cancellation after confirmation if there are not enough passengers to meet requirements. In the unusual event of this occurring, you will be offered an alternative, full refund or the or the possibility of doing it just for 2 people for 80 € more per person (just if finally there are 2 people on the tour). 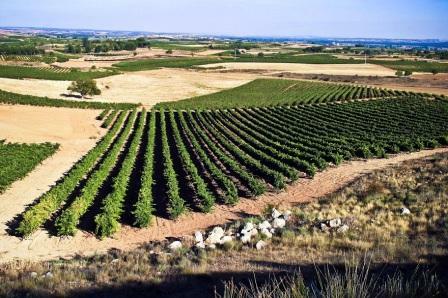 The wines produced in this region are among the finest in Spain. 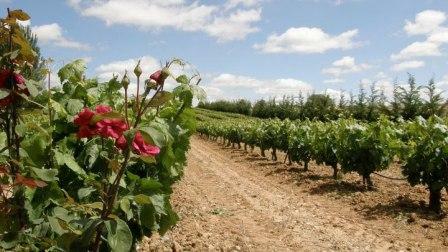 Already in the XII century, the monks of Cluny were growing grapes along the river bank of Duero to produce wine. 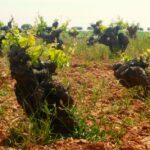 Although the nowadays famous Ribera wine is red, from the native variety tinta fina or tinto del país, there are three other well-known wine varieties in the region: white in Rueda, red in Toro and claret and red in Cigales. 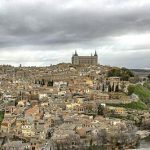 This itinerary is an example, the wineries and the order may change depending on the dates and availabilities, but all are local and authentic of Ribera del Duero Wine Region and have the highest quality standars of Gourmet Madrid. We will arrive at a modern winery of avant-garde architecture, in which nothing is the result of chance and everything in it is designed for what truly matters, optimal conditions to create wines of exceptional quality. The wines, which in such a short period of time have already won awards nationally and internationally. While we explore the winery, the guide will informa us about everything we need to know. There will be a full visit to the especially relevant facilities to understand the process of elaboration in this area of Spain. And we will taste several wines, then we will go to the next winery. The second winery we visit in the Ribera del Duero Wine Tour is in harmonious modernity with the environment and it is open to light and to the vineyards. Also establishing a link between the exterior and the interior; between the necessary functionality of spaces, nature and history. Everything stands up as a new concept of wine. 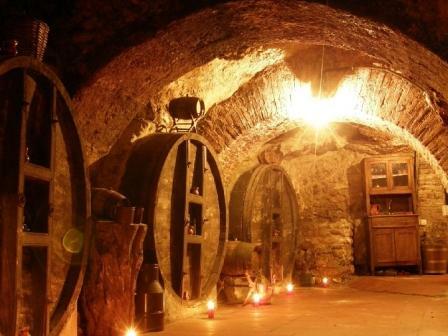 A medieval underground cellar, with a total length of about 4 mi and excavated about 40 ft deep (a networks of incredible tunnels that run throught the subsoil of the city and are intended for the preservation of wines that have been made from the Middle Age). 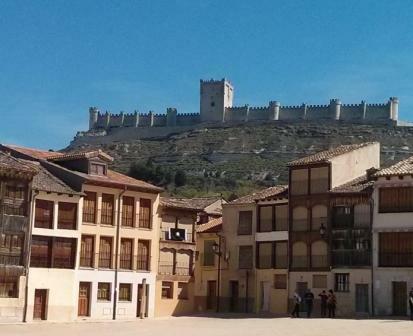 Where we will learn part of the history of the Ribera del Duero. Once again, we will taste their wines while we listen some information from the guide. After the scenic stop, you just have to relax and enjoy the return to Madrid. The arrival will take place around 20:00 approximately. The Ribera del Duero Wine Tour from Madrid, ends at Plaza de España, a central point in Madrid, well connected. This itinerary is an example and may change depending on the date and availability. In conclusion, a real immersion in the culture of Ribera del Duero Wine and a perfect way to enjoy a day outside Madrid. Booking is as simple as selecting the date and the number of people in the form of this page or click here. If the day is in red color it is because the tour if fully booked or doesn’t run that day. 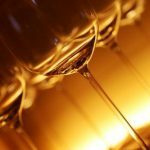 We customize private Wine Tours for any number of people, business, coaching, private parties, etc. 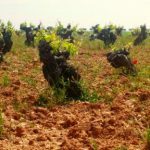 We run private wine tours to Ribera del Duero wine region departing from Madrid with this itinerary or specially designed for you. 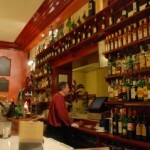 More than 15 years and thousands of satisfied customers on our Wine Tours endorse us. 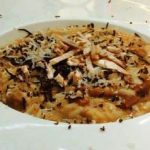 If you prefer a wine tour through Madrid wine region check here. 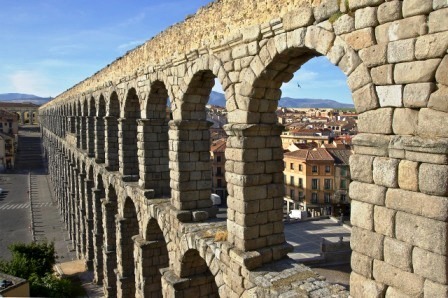 We are in the Top 10 Europe Wineries tour and the best Madrid wineries tour, read here.